So here I am with a new laptop and wondering what I should say. I think I’ll start with anticipation. In two weeks, the Holus Bolus gang will congregate. I’m looking forward to spending time with them—laughing, sewing, eating chocolate, laughing, and telling tall stories. 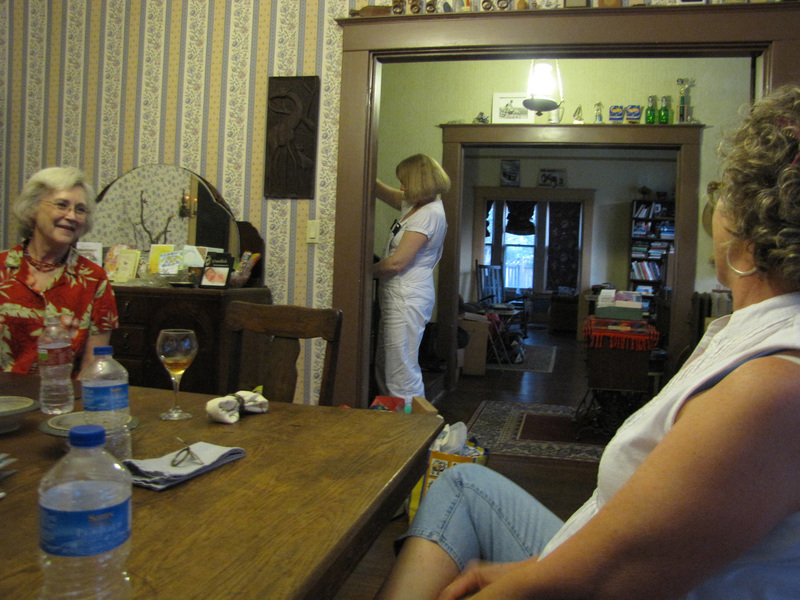 Before we get started we have to catch up on doings—here we all are (except me and Sherry) I’m working the camera and I think Sherry was in the kitchen doing something important or maybe she was ironing. Notice the second picture—we have made a grand mess. 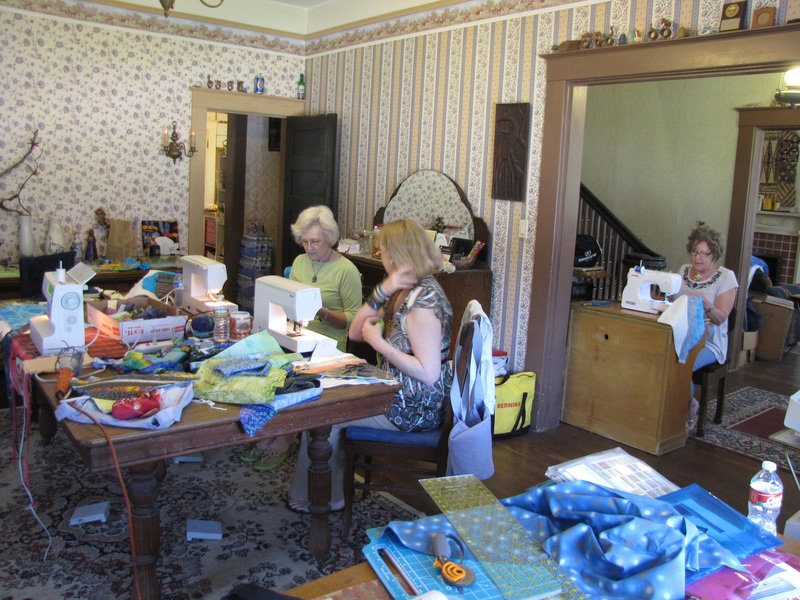 Three cutting stations were set up, two on side tables in the dining room and the other is upstairs in my sewing room. The ironing board is in the living room and the ‘design wall’ is the living room floor—a bit hard to see much over the oriental carpet flowers. Mrs. Smith always contributes one of her pies—we have a goal of trying them all.